Vitamin D is essential for maintaining your health, but many people don't know just how important it is. Almost all of us at one point or another have experienced low vitamin D levels, whether we have realized it or not. Symptoms often manifest as poor energy, insomnia, compromised immune system, and mood imbalance. That's why I want you to know these 9 facts about D. Everyone needs to know these, so let's dive right in! In the U.K., not only is the recommended daily allowance (RDA) much lower than in the U.S., but also many people don’t realize how important this vitamin is for bone health. Because of this, many kids and adults there don’t get enough. But while U.S. RDA can sometimes be as high as 4000 IU, a higher guideline doesn’t mean all Americans will get enough either. Since you get Vitamin D from both diet and sunlight, make sure you’re getting enough. I'm not saying a vitamin D supplement will cure or prevent breast cancer but a recent study suggests spending some time in the sun each day can reduce your risk for breast cancer. This exposure stimulates Vitamin D production in your skin, and that alone could cut your risk for breast cancer in half. Opt for around 20 to 30 minutes of sun exposure per day without sunscreen. I wouldn't have thought about this unless I'd read the study but a recent report suggests pregnant women with low Vitamin D levels are two times as likely to have children with language difficulties. It’s important to remember that a developing baby relies entirely on the mother for vitamin D. This makes it doubly important for expectant mothers to get enough of the vitamin! 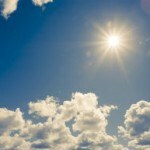 With sunlight as a main source for Vitamin D production, increased sunscreen use, declining vitamin levels, and rising autism rates have had many wondering if there could be a connection. While one study noted that autistic children do, in fact, have lower vitamin D levels than non-autistic children, more studies must be done before drawing a conclusion of any kind. 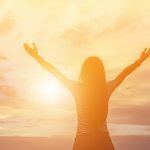 Regardless, it certainly seems to show how important Vitamin D can be to brain health. In a worrisome discovery, low vitamin D levels have been linked to premature death. Research has found that individuals with low blood levels of vitamin D had a doubled risk of premature death compared to those with a higher level. If you’re curious, your doctor can do a simple blood test so you can know your current levels of Vitamin D.
I’ve already mentioned vitamin D’s suspected role in brain health. A recent study even suggests low levels can boost a person’s risk for dementia and Alzheimer’s. As we age, our skin becomes less able to convert vitamin D from sunlight, so while it’s too early to draw conclusions, these findings could lead to updated guidelines for vitamin D levels in those over age 65. More evidence is stacking up for Vitamin D’s influence on health: one study even suggests it could protect us from high blood pressure, heart disease, and even stroke. 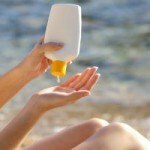 But fear of skin cancer is keeping people out of the sun, and that is leading to low levels of D. Consider getting your sun exposure in the morning or evening when the sun’s rays aren’t as strong. Vitamin D is crucial for the healthy body, but getting enough can be tricky as there aren’t too many foods that naturally contain the nutrient. With all we’ve heard about milk and healthy bones, you’d think dairy products would be a great source. While milk does contain Vitamin D, it might be time to rethink all you know about milk and bone health. One study suggests it’s not as helpful as originally thought when it comes to preventing bone fractures. Since finding the right amount in foods can be tough, a vegan-friendly supplement like Suntrex D3™ is an easy way to always make sure you’re getting the nutrition you need to support your health. Multiple Sclerosis Trust. Factsheet: Vitamin D. Multiple Sclerosis Trust. Department of Health and Food Standards Agency. National Diet and Nutrition Survey. Department of Health and Food Standards Agency. Sutherland, E.R. et al. Vitamin D Levels, Lung Function, and Steroid Response in Adult Asthma. American Journal of Respiratory and Critical Care Medicine. Garland, C. F. et al. 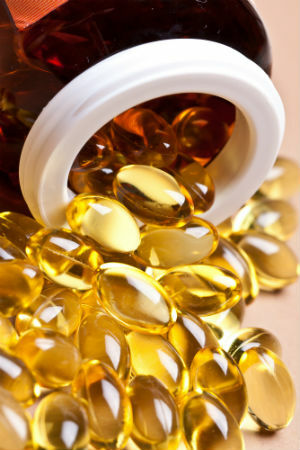 The Role of Vitamin D in Cancer Prevention. American Journal of Public Health. 96 (2). Aranow, C. Vitamin D and the Immune System. Journal of Investigative Medicine. Cranney, A. et al. Effectiveness and safety of vitamin D in relation to bone health. Evidence Report/Technology Assessment. 158. John, E. et al. Sun Exposure, Vitamin D Receptor Gene Polymorphisms, and Breast Cancer Risk in a Multiethnic Population. American Journal of Epidemiology. 166 (12). M. Cadden, N. Koven & M. Ross. Neuroprotective Effects of Vitamin D in Multiple Sclerosis. Neuroscience & Medicine. 2(3). Whitehouse, A. et al. Maternal Serum Vitamin D Levels During Pregnancy and Offspring Neurocognitive Development. Pediatrics. Grant, W.B. & Soles, C. M. Epidemiologic evidence supporting the role of maternal vitamin D deficiency as a risk factor for the development of infantile autism. Dermato-endocrinology. 1 (6). Mostafa, G. & AL-Ayadhi , L. Y. Reduced serum concentrations of 25-hydroxy vitamin D in children with autism: Relation to autoimmunity. Journal of Neuroinflammation. 9. Garland, C. et al. Meta-analysis of All-Cause Mortality According to Serum 25-Hydroxyvitamin D. American Journal of Public Health. 104 (8). Littlejohns, T. J. et al. 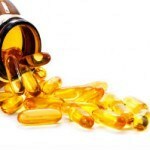 Vitamin D and the risk of dementia and Alzheimer disease. Neurology. Liu, D. et al. UVA Irradiation of Human Skin Vasodilates Arterial Vasculature and Lowers Blood Pressure Independently of Nitric Oxide Synthase. Journal of Investigative Dermatology. 134. Michaëlsson, K. et al. Milk intake and risk of mortality and fractures in women and men: cohort studies. BMJ. 349.